We’ve been going here for years and for the most part, everything is great. They are always busy at night so expect a wait usually. Guacamole is really good. 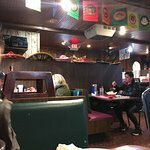 We typically stay with the same choices — fajitas, quesadillas, carne asada tacos and chile relleno’s. Good prices and good food. This was absolutely disgusting!!!! Cannot believe I got ripped off and didn't even eat. The food is overpriced and salty, no flavor and that's pretty sad since it was so salty.. the best part of my meal was leaving it there on the plate and going to TACO BELL. Never going back. Couldn't pay me too. Hi there, I am sorry to hear that you did not enjoy the menu items that were served to you. All our dishes are prepared with nothing but fresh and high-quality ingredients, as we want to only serve plates that we are proud of and would like to further apologize that it did not come across that way to you! We do encourage all guests to express all food concerns to their server while still dining, as we would be happy to accommodate where we see fit! We thank you for your feedback and hope that you will give us another try! So often the mood you're in tempers how much you enjoy the event. On the day we visited, we had just come from two Italian restaurants that were closed on Mondays and a Mexican one that had a sign at the counter saying, "No Chips". Yet, we got the best of the situation as Taco Loco was excellent. The margaritas were very good. There was flavor instead of a dominant sweet taste. We ordered from the lunch menu. The food was hot and tasty. Not sure what else I need from a lunch. Service was sincere, comfortable and thoughtful. Give it a try. Will go back again hoping to duplicate this visit. 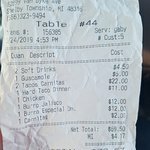 Thanks for visiting Taco Loco and posting your review. The ground beef in the buffet has to be in its own juices in order to withstand the constant heat. Otherwise it will dry up and taste salty as well as burnt. We place a slotted spoon in the container so customers can strain the liquid and retain only the beef. In this way, the beef will retain its texture and taste. If you do not strain the ground beef, you will get the greasy taste. We used to leave less liquid in the ground beef, but customers complained the beef was dry and salty. Thus the change. Thanks again, and we hope you will come back to Taco Loco. Our second visit here, the first was a little better (Sunday Buffet). We saw the large crowd and realized that alot of patience was going to be necessary, so we stuck it out. We waited 40 minutes in a small waiting area to sit down. It took over an hour (after ordering) to get our food. Margherita was very good, chips were good, re-fried beens were too salty, Chimichanga had no taste. In all fairness, it was a very busy Saturday night and the servers were ovewhelmed; the owner was serving alot of the food (Very telling). Our patience eventually turned into frustration, and finally turned into pity watching the servers apologize for the long wait. On the up-side, the server was very nice, and the entire staff was working very hard. This place needs an intervention from Gordon Ramsey ASAP. We may give it another shot when its not so busy. Been to Taco Loco? Share your experiences!